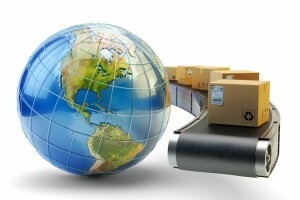 Home » Blog » What’s the Difference Between Shipping and Mailing? The term “shipping” was first used in reference to parcels that were transported via ship. In the 1300s, when the term became popular, it literally meant transport by ship alone—obviously that’s no longer the case. In the 1800s, shipping items began to mean moving goods by other means of transport as well, including railroads and airplanes. This stands true today, and trucks and trailers have been thrown into the mix. As such, we can understand shipping to mean transporting cargo from one place to another. So how is mailing items any different? Mailing is the act of sending a message. Logistics experts say there’s no such thing as “mailing a package,” since mailing strictly refers to sending a letter in a standard envelope, which is picked up and delivered by postal services exclusively. For example, you wouldn’t mail something using a service like UPS or FedEx, and you wouldn’t ship something commercially using a postal service. In sum, shipping generally refers to the transport of large items using trucks, ships, airplanes, or trains to get them from point A to point B, whereas mailing refers to sending a letter using a traditional postal service. Shipping is also defined as the actual process of goods being taken from one point to another, whereas mailing is the sending of a letter or small package by indication of the postmark. It can be hard to decipher the difference at first, but the variations between shipping and mailing are important for those in logistics to note. APS Fulfillment Services provides logistics solutions for a variety of industries—whether you’re looking to ship retail stock, health-care supplies, financial items, or commercial printers, we’ve got the solution for you. One of the main benefits of allowing APS to handle your fulfillment needs is the flexibility it gives to your business. You’ll be able to save money and time by eliminating the need to set up your own fulfillment system, and you’ll also be able to scale your fulfillment services depending on the growth of your business. Fast and dependable fulfillment services are integral to maintaining a good rapport with customers, which is why you should trust APS—we take extra care to ensure your customers receive their packages on time and in good condition. Contact us today to learn more about how we can help your small to mid-sized business grow.